Screaming with laughter and oozing with heart, Disney•Pixar’s “Monsters University” is directed by Dan Scanlon (“Cars,” “Mater and the Ghostlight,” “Tracy”), produced by Kori Rae (“Up,” “The Incredibles,” “Monsters, Inc.”) and features music from future Rock-and-Roll-Hall-of-Fame–inductee and award winning composer Randy Newman (“Monsters, Inc.,” “Toy Story 3”). The film opens in theatres on June 21, 2013, and will be shown in Disney Digital 3D™ in select theatres. 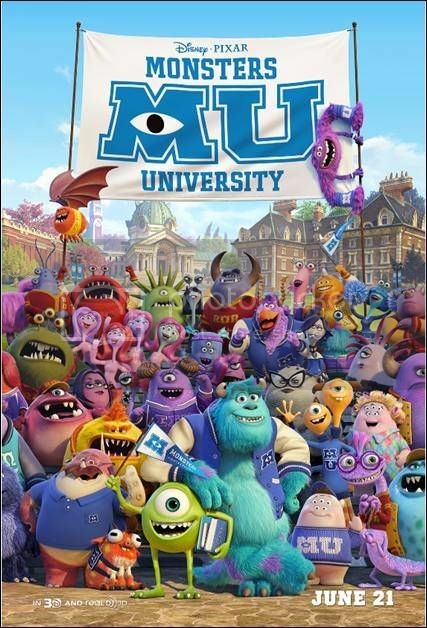 MONSTERS UNIVERSITY releases in theatres on June 21, 2013!